On 2 December 2014 the latest ESA Ministerial Council took place in Luxembourg. The Ministerial is the most important meeting in Europe’s space policy scenario, usually held every two years to make strategic decisions on future programs and financial commitment of the Agency. It allows evaluating the current status of space activities, renewing ESA’s higher ranks and defining strategic, operational and economic engagement in the medium-long term. Keeping in mind budgetary constraints and the importance of space for the Continent’s geopolitical relevance, the main decisions at strategic level included Europe’s space access capability, ISS exploitation, space exploration and ESA evolution in the framework of European space policy. European ministers and representatives at the ESA Council at Ministerial Level, Luxembourg, on 2 December 2014. – Credits: ESA – S. Corvaja. Independent access to space is a focal point for Europe. In the context of a world launch service market that is rapidly changing, in both supply and demand, some important decisions have to be taken. The commercial market, primarily consisting of telecommunications satellites, currently sees the presence of new non-European launch service providers operating at highly competitive prices. The increasing number of European institutional payloads, especially related with the Galileo and Copernicus constellations, is providing a quite stable market for frequent launches of medium-sized satellites. The European launchers’ family includes Ariane 5, Soyuz and Vega, covering various payload size and mission profiles, from low Earth orbit, to polar, to geostationary orbit. Over the years, the Ariane 5 cost model presented some issues that limited his competitiveness. First of all, launches are extremely expensive because of the high costs of manufacturing and technology. Secondly, the Arianespace consortium, managing European launch services, artificially lowers the prices of launches to preserve Ariane 5’s competitiveness on the global commercial market. This strategy implies losses for the consortium’s budget and constant intervention of shareholders (aerospace industries and national space agencies). Finally, the overcoming of Ariane 5 is desirable to reduce reliance on the Russian medium-class launcher Soyuz, according to the strategic goal of independent access to space. ESA Ministers were asked to define and implement solutions and to restore Europe’s competitiveness. They agreed the further development of a family of new launchers, approved funding for ISS and space exploration and adopted three Resolutions on access to space, space exploration strategy and the future of ESA. The development of Ariane 6 and Vega C satisfied the need to boost independent and reliable capabilities of access to space for institutional and commercial European customers. Ariane 6 is a modular three-stage launcher (solid–cryogenic–cryogenic) with two configurations using: four boosters (A64) or two boosters (A62). Vega C, a Vega upgraded launch system, shall serve the small launch segment. With regards to space exploration, efforts towards LEO (Low Earth Orbit) exploitation were focused on funding of ISS activities. International Space Station constitutes a great opportunity for scientific research, an important example of international cooperation and a crucial source of experience for the next stages of human exploration. Europe continues to play a wide-ranging role on ISS and the 2014 Luxembourg summit proposed to support ESA’s ISS exploitation activities until 2017 at a cost of €820 million, as well as its research activities (ELIPS Program) with additional funding. 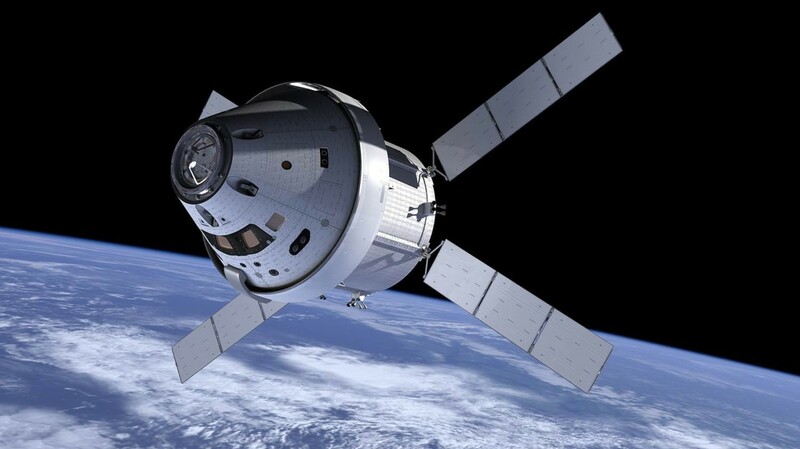 Decisions included plans on operations, engineering activities, astronauts training and participation to Orion, the Multi Purpose Crew Vehicle Program (MPCV) in cooperation with NASA. Early artist’s Conception of the Multi Purpose Crew Vehicle Program (MPCV) Orion. Note the ATV-derived service module. – Credits: NASA. About space exploration, ESA proposed preparatory elements of a contribution to Russia’s Lunar-Resource Lander (planned for launch in 2019) and Lunar Polar Sample Return (planned for launch in the early 2020s) missions, leaving the full decision on this program at the next Ministerial. Member States’ further subscriptions were proposed for ExoMars, involving two missions to Mars in 2016 and 2018, and Mars Robotic Exploration Preparation Program (MREP-2). MREP is an Optional Program intended to prepare Europe’s future contribution to the international exploration of the Red Planet, leading to a Mars Sample Return mission in which Europe should be involved as a full partner. The Ministers established ESA’s strategic objectives in future space exploration missions covering LEO, Moon and Mars stressing scientific, socio-economic goals and the international cooperation dimension. Space was not among the European Union’s competences until the Lisbon Treaty (2007). Article 189 of the Treaty introduced an explicit reference to it, creating a legal framework for the action of the EU in this field: “To promote scientific and technical progress, industrial competitiveness and the implementation of its policies, the Union shall draw up a European space policy. To this end, it may promote joint initiatives, support research and technological development and coordinate the efforts needed for the exploration and exploitation of space […] The Union shall establish any appropriate relations with the European Space Agency”. According to this, the relationship between ESA and European Union will be redefined and roles of actors involved in space policy will undergo some modifications. The evolution of ESA is a crucial element for the future of space activities, aiming at maintaining its role as one of the world-leading space institutions by establishing new efficient relationships among all the actors shaping space policy’s process. Although they are increasingly working together towards common objectives and activities, with some of 20% of the funds managed by ESA now originating from the EU budget, the European Space Agency and the European Union are separate organizations. ESA is an intergovernmental organization, whereas the EU is supranational and they have indeed different ranges of competences, different Member States and are governed by different rules and procedures. Membership asymmetry, absence of mechanism for policy coordination between ESA and EU and missing political accountability for ESA are among the most critical issues. Since the 2012 Ministerial and the approval of the Political Declaration towards the European Space Agency that best serves Europe, both ESA and the European Commission have therefore launched internal reviews on the possible evolutions of their relations and the governance scenarios of European space sector. Conclusions of the one-day Ministerial Council were summarized in three Resolutions covering Europe’s future launchers and space exploration strategies and the vision for ESA until 2030. The Resolution on ESA evolution analyzed some options for the improvement of the efficiency of the Agency, suggesting measures related to its relations with Member and non-Member States, the scientific communities, industry, extra-European Countries and the European Union. Programs and resolutions outlined aim at maintaining and improving Europe’s role in space, considering strategic and geopolitical value of space assets. Growing importance of space to society, political dynamics and economy imposes therefore a reinforcement of coordination, R&D and technological innovation at European level to face future changes and challenges. The next Ministerial is scheduled for 2016 in Switzerland. Violetta is an Italian young professional of international relations, collaborating with various think tanks in geopolitics and foreign policy analysis. She holds a Master's Degree in International Relations and a Master in Space Institutions and Policies at SIOI – Italian Society for International Organization. She has professional experience in various fields, ranging from public and institutional relations, strategy & marketing to aerospace & defence sector. She has a strong interest in outer space, especially focusing her research on space policy and law. Malaysia Flight MH17 and Spaceflight: A Widening Crisis? Was the Virgin Land Campaign only a Giant Cover-up for the Baikonour Construction?